Although registrations of alternatively fuelled vehicles (AFVs) hit a high in August, there is still a huge ‘discrepancy gap’ between drivers’ stated buying intentions and actual sales. 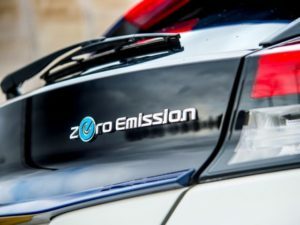 Fleet management specialist CLM asked 400 drivers how likely they would be to consider an AFV and found that 24% said they would be likely or very likely to consider a pure electric model for their next car, 32% said they would consider a plug-in hybrid (PHEV) and 36% a non-plug-in hybrid (HEV). August registration figures from the SMMT show sales of AFVs rose in by 88.7% in August with a record one in 12 buyers going electric. However, the 8% market share held by AFVs in August – and the 5.8% for the year to date – clearly shows that drivers are still not acting on their eco intentions. The gap is most apparent for pure electric cars, which made up just 0.57% of vehicle registrations in the first eight months of 2018. PHEVs have found more homes with 1.83% of total registrations and HEVs more still with 3.38% of registrations. CLM managing director John Lawrence put the gap between actual sales and intentions down to a lack of understanding and education on AFV technologies, as revealed by the company’s research. Lawrence said that from a company perspective, decisions about the type of vehicle to run still had to be made on a “hard-nosed, pragmatic and cost-effective basis”, regardless of driver intentions. “If the nature of your business demands a large number of short, urban journeys, then plug-in hybrids or even pure EVs can be the perfect choice for your drivers. He also added to industry warnings about the effects of allowing drivers to opt for PHEVs but not ensuring they’re used correctly – earlier this year, the ICFM said that plug-in hybrid cars were for “the proverbial duck out of water operating predominantly outside of their economic efficiency zone for a significant number of fleet managers. A full report based on CLM’s findings is due to be published in the coming weeks.